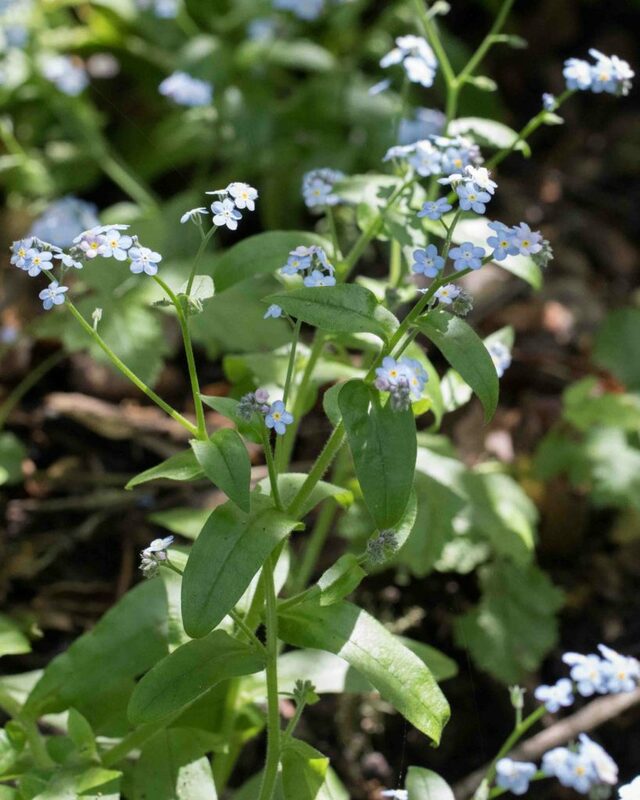 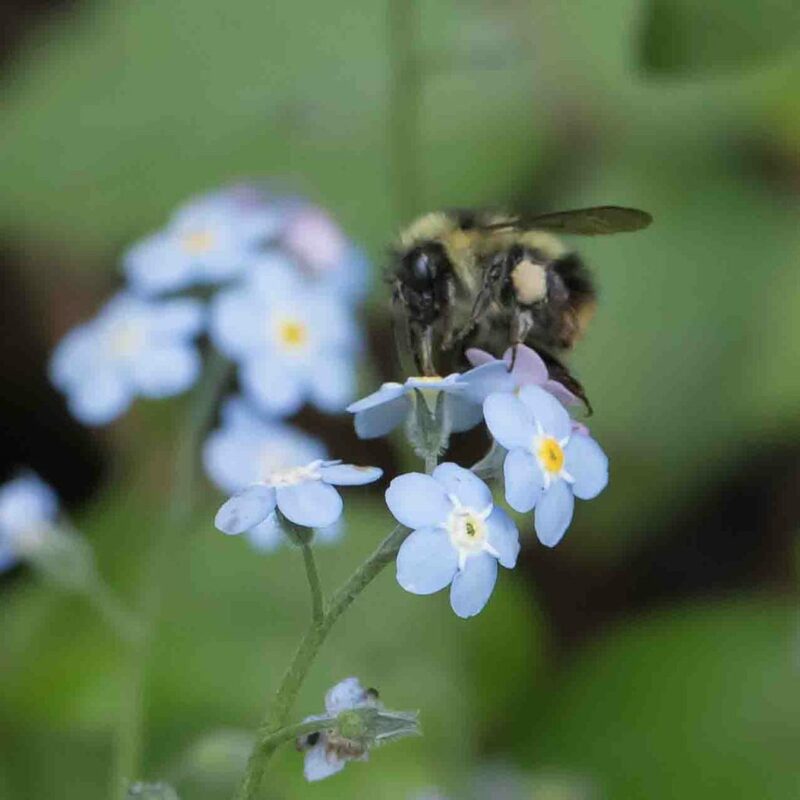 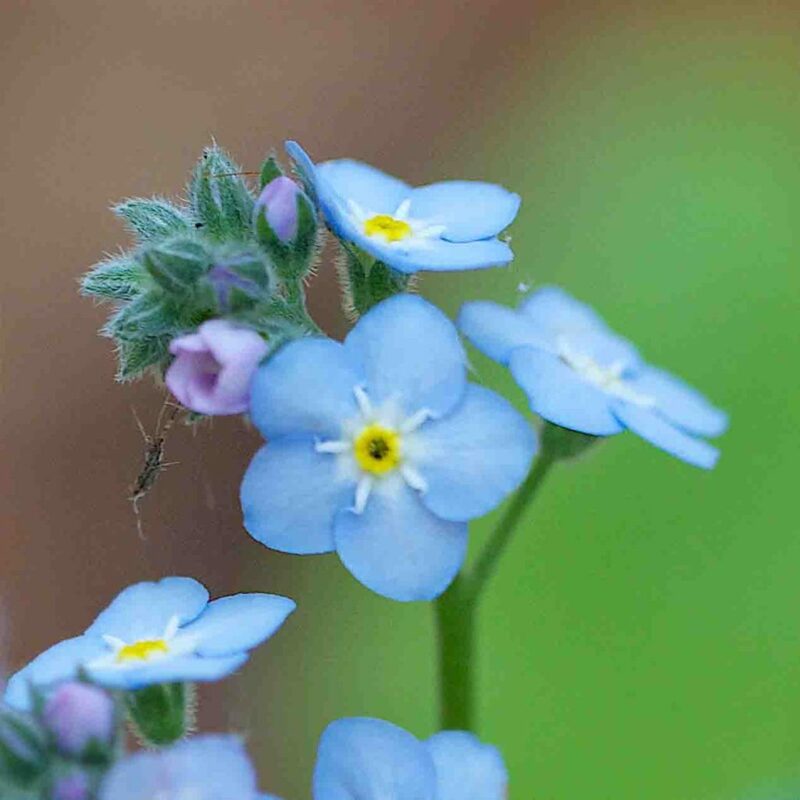 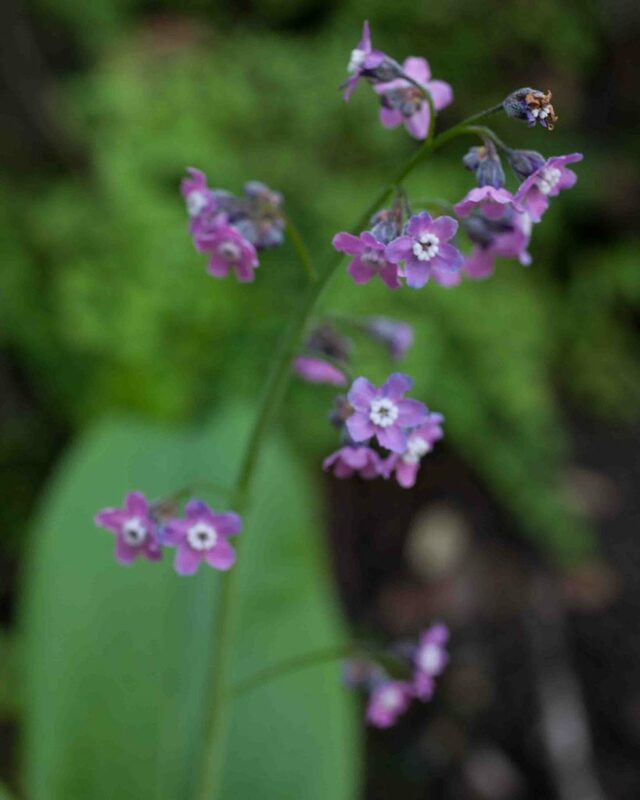 One of the earliest flowers to bloom in spring, this has an erect stem with coiled clustersof small blue/purple, forget-me-not like flowers with white appendages at the base of the petals. 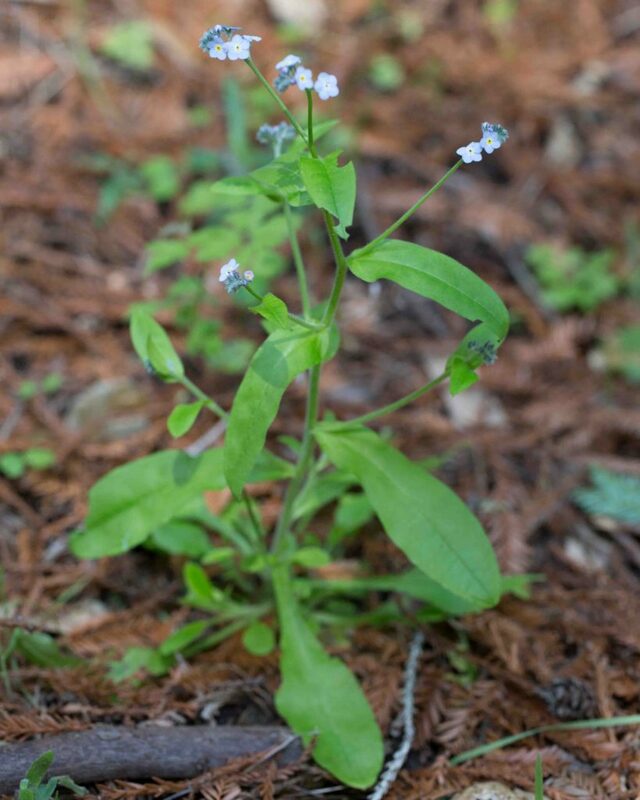 Leaves are mostly basal, each with a long blade reminiscent of a panting dog’s tongue. 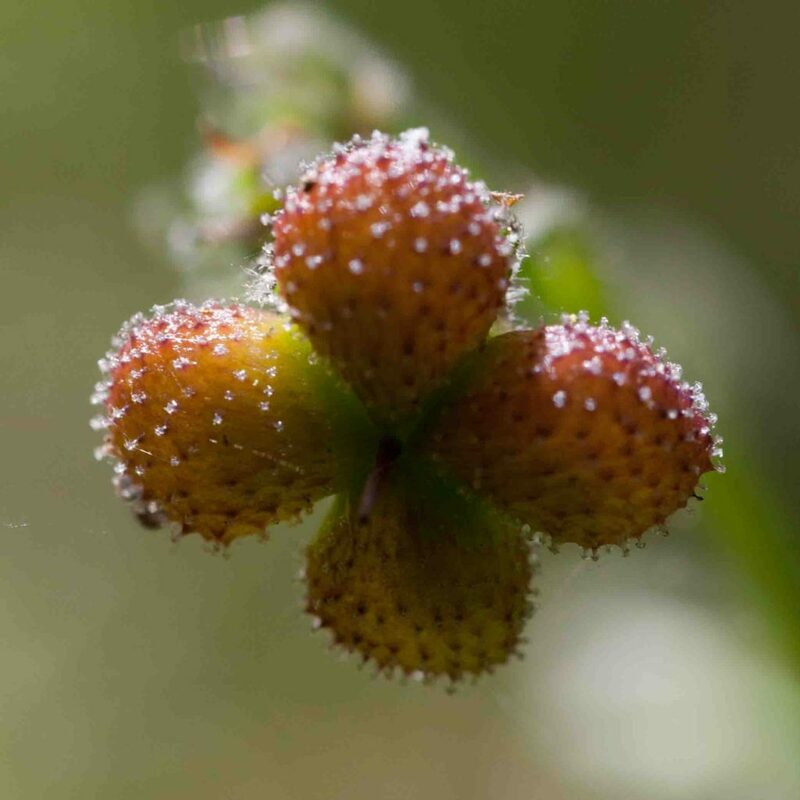 Fruits comprise 4 spreading, prickly nutlets. 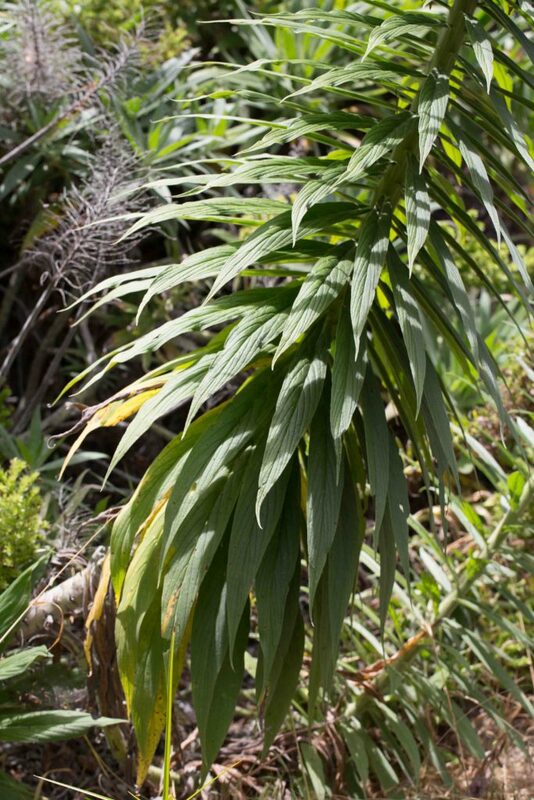 Both stems and the oblanceolate leaves are fleshy, generally prostrate or ascending. 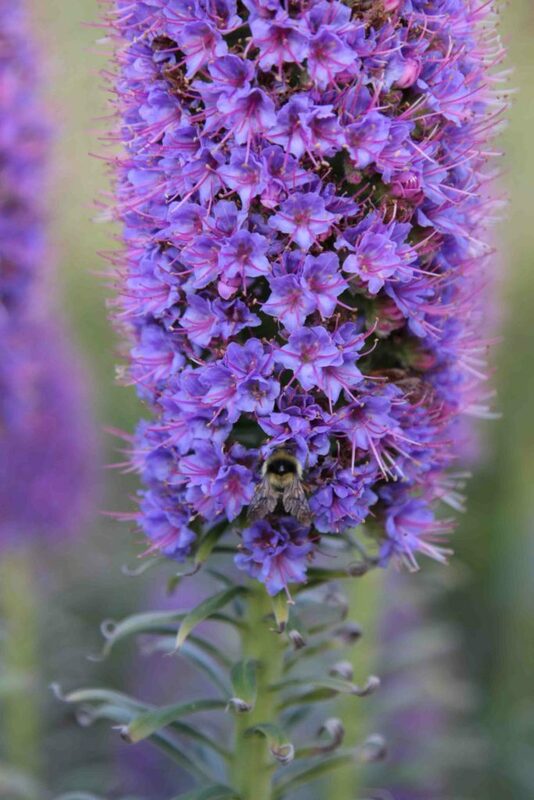 The inflorescence forms a loose coil with double rows of symmetrically placed flowers. 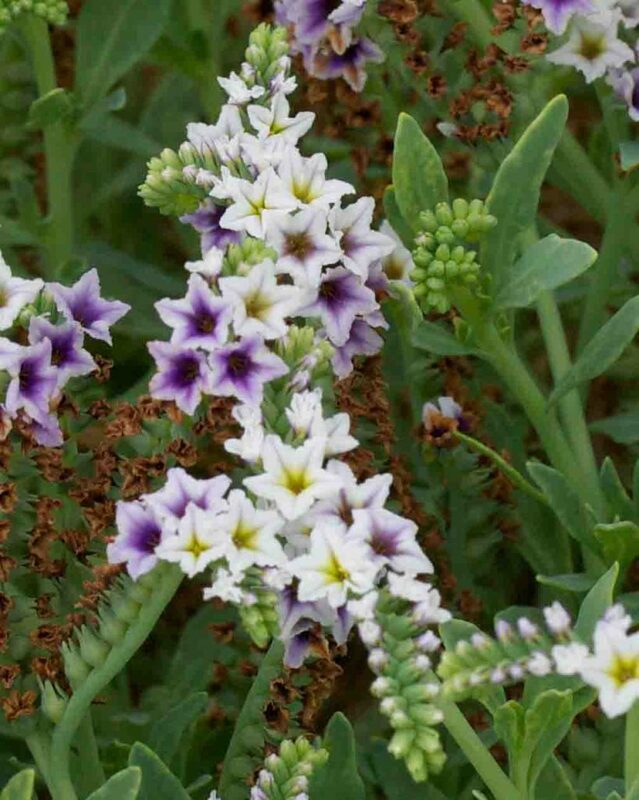 Individual flowers are white with a narrowly bell-shaped tube and a yellowish to purple throat with 5 distinct veins. 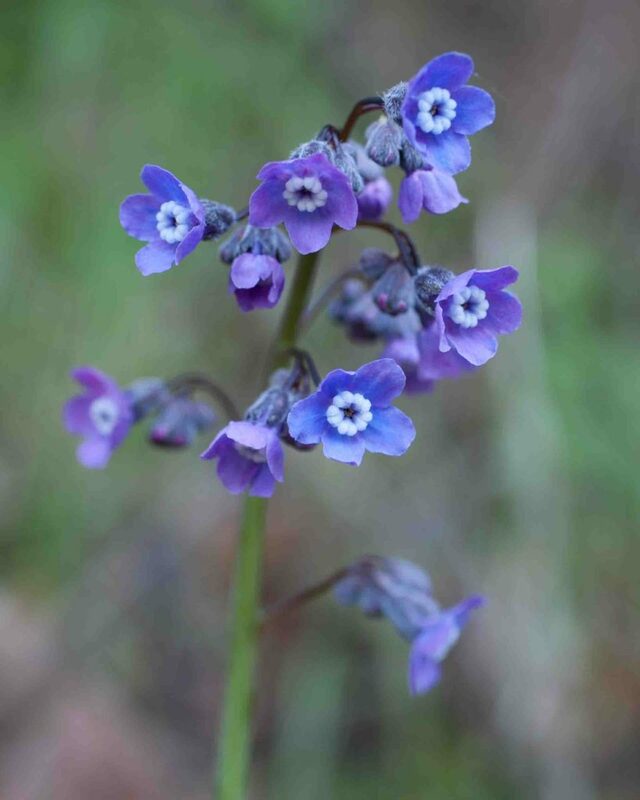 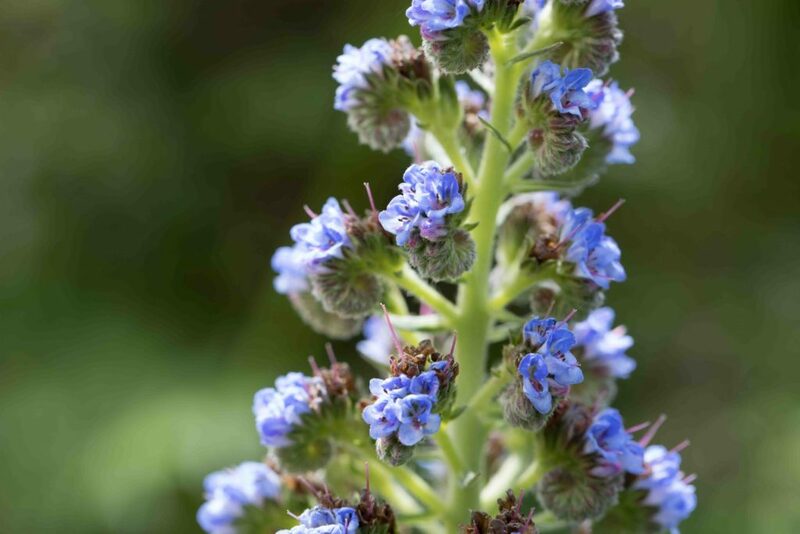 A small plant with many blue flowers, about 1 cm across, in a coiled cluster, similar in shape to other members of the Borage family such as Hound’s Tongue and popcornflowers. 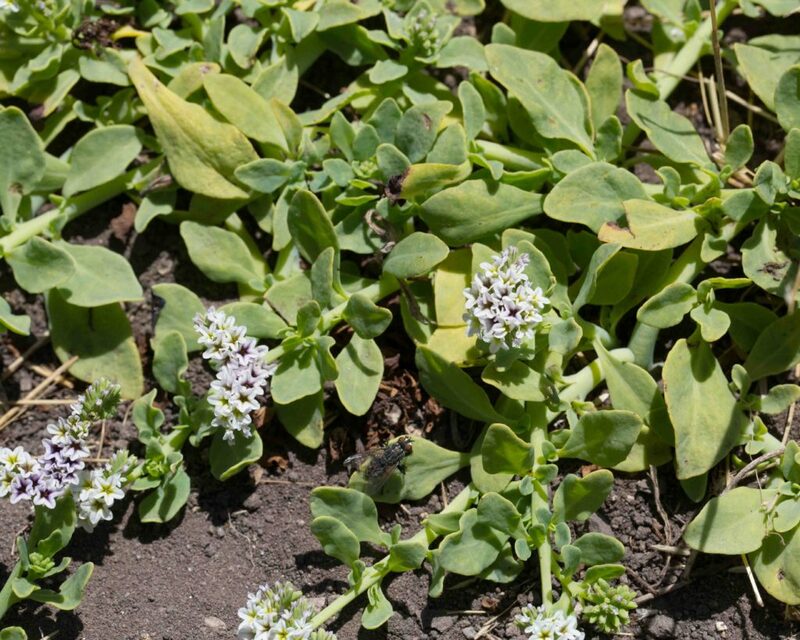 The lower leaves are generally larger and ovate the cauline leaves a little smaller and oblong. 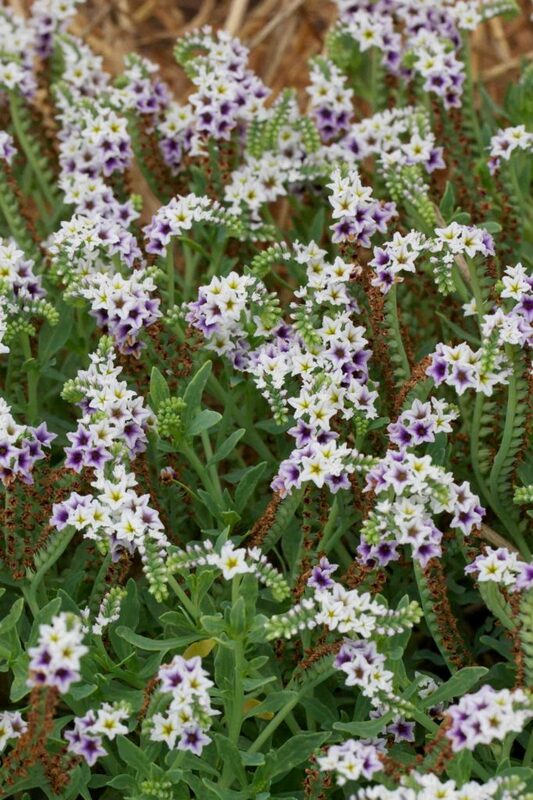 Frequently cultivated and sometimes escaping and becoming naturalized. 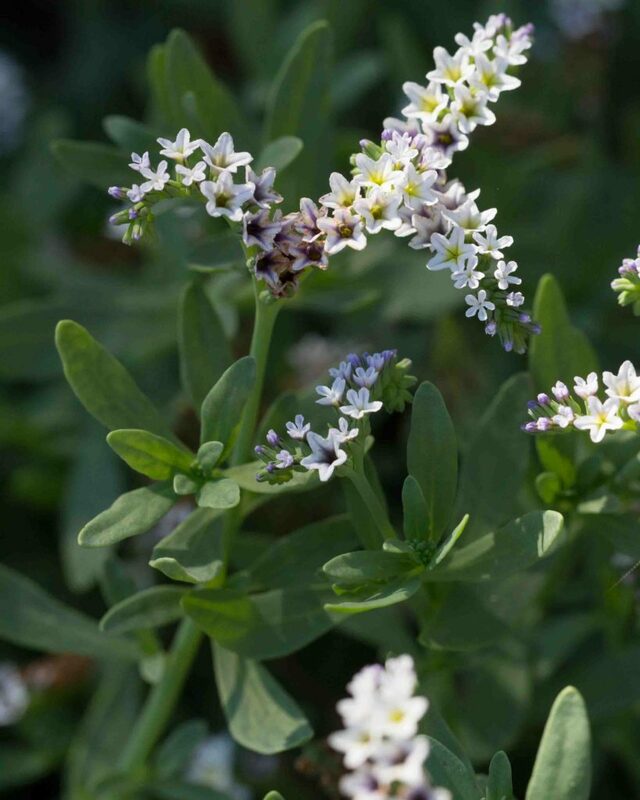 A leafy shrub, which tends to become leggy as it ages. 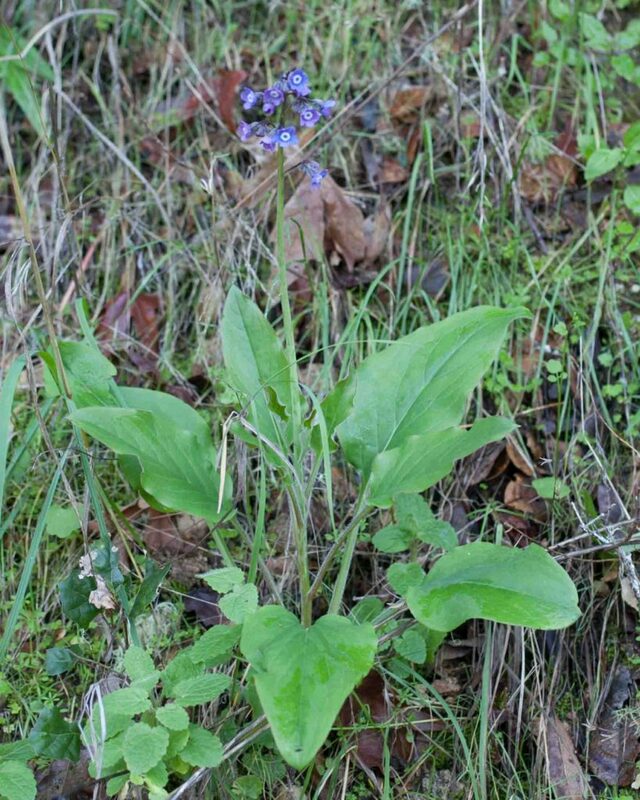 Leaves are narrowly elliptic, 6–25 cm long. 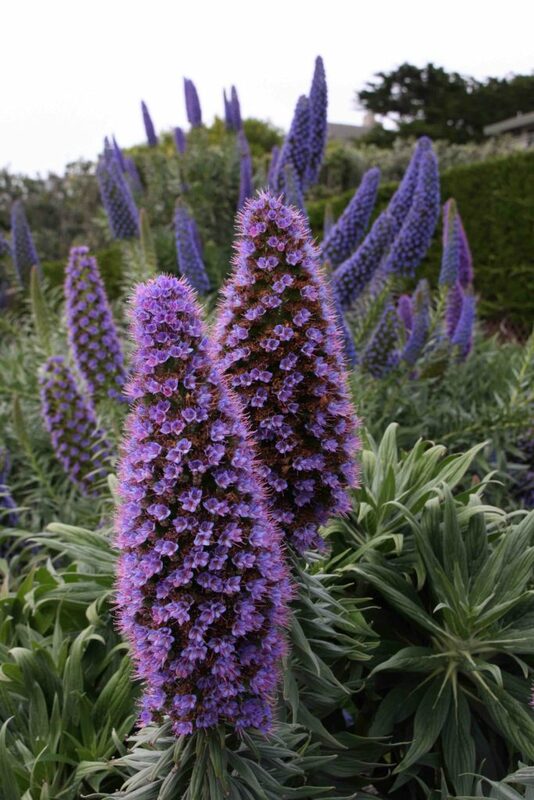 The dramatic inflorescence is a 15–40 cm tall, tight, elliptic spike with very many bluish-purple flowers which, on close examination, are in the characteristic coiled form of many other members of the Borage family. 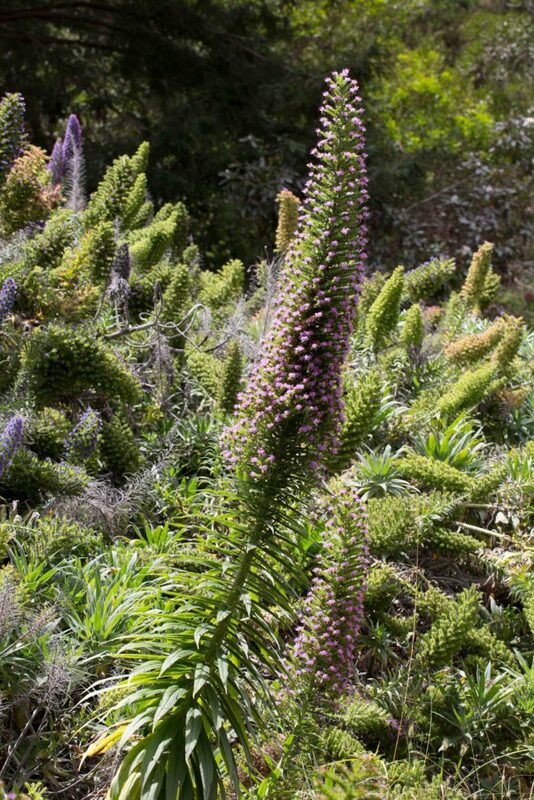 The attractions of the plant diminish rapidly once it has finished flowering. 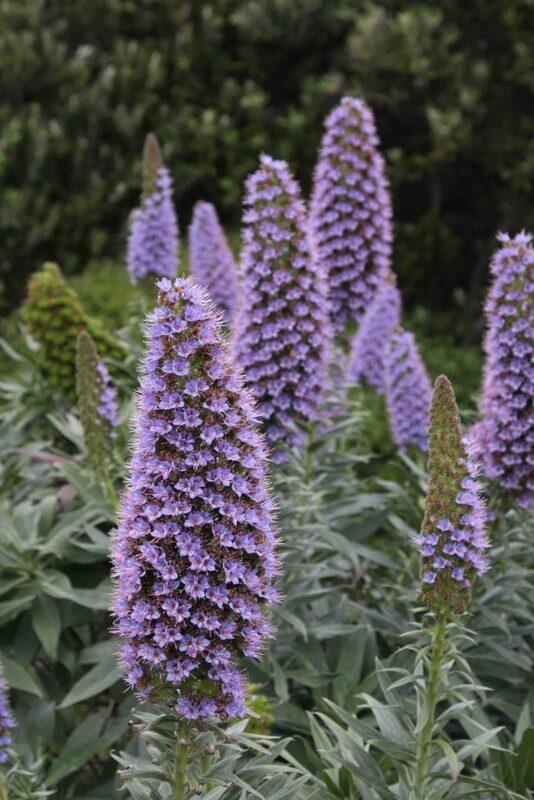 Much less common than Pride of Madeira (Echium candicans) but occasionally escaping and becoming naturalized. 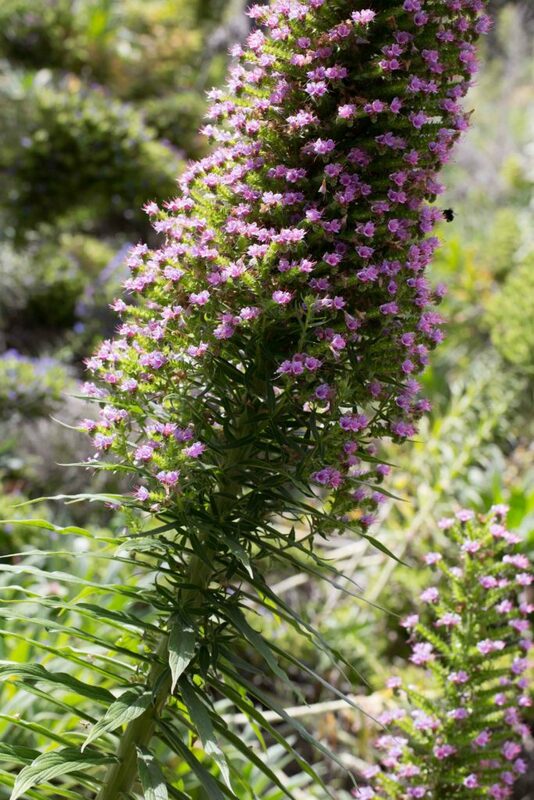 Both leaves and the inflorescence bears a close similarity to Pride of Madeira but the inflorescence is much taller (> 100 cm) and the leaves, in addition to a basal rosette, are clustered densely on the stem right up to the base of the inflorescence.